Nilson, L. B. (2007). 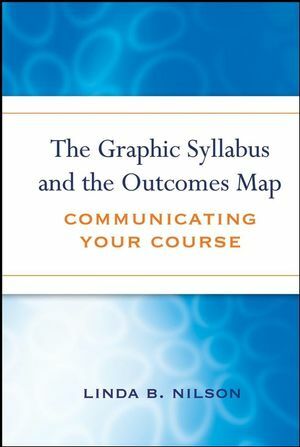 The graphic syllabus and the outcomes map: Communicating your course. San Francisco: Jossey-Bass. I attended my first STLHE conference in 2001, hosted by Memorial University in St. John’s, Newfoundland and was lucky/smart enough to attend a pre-conference workshop on graphic syllabi, led by Linda Nilson. Throughout my academic training in the biological sciences, I always found that visual tools, such as maps, charts and diagrams worked better for me than prose, lists, or other large blocks of text. Taking part in Linda’s session and reading this book helped to inspire me to use these approaches in my own teaching and educational development work. This slim volume (181 pages) is filled with practical information that you can use right away, whether you are designing a course for the first time, or looking for ways to freshen it up and help your students to be as enthusiastic about the course and their part in it as you are about teaching it. The book reads the way Linda facilitates – clear, organized, concise, helpful and inspiring. It really is a step-by-step guide. You will be shown how and why graphics enhance learning, with reference to the published literature. She walks the talk, providing a graphic syllabus of the book. You will also find a very clear overview of types of objectives, from ultimate to foundational, explaining several frameworks in the literature that you might use to organize your outcomes map. Many examples of both graphic syllabi and outcomes maps, sometimes masterfully combined, and from a variety of disciplines, instructors and institutions complete a great book. I found myself flipping through looking at the examples first, then Linda’s notes about each one, then starting the book right from the start. What a great way to visually learn something new! 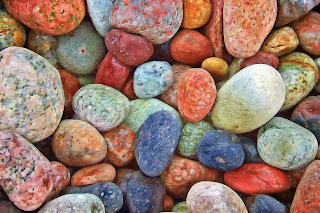 If you are interested in the use of visual tools for teaching, learning and in other useful contexts, you may also want to explore the work of some other fine colleagues, whose seminars I have really enjoyed over the years, people such as Greg Fleet, Alison Mostrom, Jim Hope and Donna Ellis. I don’t know him personally, but the Thinking Maps work of David Hyerle is well-known. I have also written a bit about the use of concept mapping, for use in learning portfolios, in Volume 3 of CELT and with two colleagues at UBC, based on some workshops we led there.